Dr. Tom has been practicing the art of chiropractic in Chester County for over 15 years. He founded Design For Health Chiropractic Center in 2003. He has a passion for helping people meet their maximum potential through chiropractic, healthy lifestyle choices and nutrition. Dr. Tom has a strong working relationship with other doctors in the area. He focuses on working collaboratively for the best care of each patient. Dr. Tom’s passion to live healthy draws him to many different sports pastimes. He is a proud sponsor and member of Trestle Bridge Racing mountain bike team. Dr. Tom has been mountain biking for about 20 years. He enjoys racing when he can spare the time away from family and patients! His love for mountain biking led him to participate in some local adventure races which include trail running, canoeing and biking. About 10 years ago (when his first child was born) Dr. Tom realized road biking is a less time intensive way to enjoy biking riding. He began cycling as part of his cross training for racing. Watching The Tour de France is a celebrated yearly event in the deVries household. One of Dr. Tom’s other biggest passions is hiking. He and his wife have hiked 19 of the highest peaks in each state over the last 20 years. 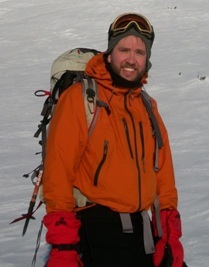 Over the last 10 years he has begun winter hiking in extreme temperatures! Most recently Dr. Tom has begun doing triathlons. This has required a new look at swimming. You can find Dr. Tom swimming early laps at the local Y as he pursues this new challenge. One theme runs through all of these pursuits: live healthy by challenging yourself through something you passionately enjoy! Our primary philosophy is that all people were designed to be healthy. We are integrated beings with three basic, integrally related parts. We are physical, mental/spiritual, and chemical. These three parts cannot not be separated or removed from each other. They affect each other constantly in both positive or negative ways. We’ve all experienced how pain can make us irritable, or how sadness can make us feel tired or weak. Our goal at designed for health is to help you remove the stumbling blocks that prevent you from realizing your personal Design For Health. We have successfully treated: Head aches, Neck, and Back Pain, Whiplash, Hip pain, IT band problems, Scoliosis, Knee injuries, Foot problems like Plantar Fasciitis, Frozen Shoulders, Tendonitis, Herniated discs, tight hamstrings, fatigue, sleep issues, Candida, digestion problems, and fertility issues. We have also helped patients control symptoms associated with ADD, OCD, depression.